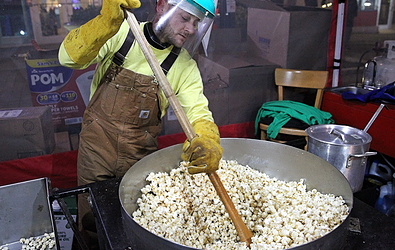 Uncle Dave's Kettle Korn NC is a family business located in Raleigh, NC with 1 mission: Make the best kettle korn in the world! Uncle Dave's NC was founded in Raleigh, NC in 2016 and is owned and operated by Daniel Clayton. Daniel is the stepson of Uncle Dave (click link to learn more) and had a passion for the family business since it started in 2005. After working at ShareFile, now Citrix, which strongly encouraged an entrepreneurial spirit, it was time to bring the famous recipe to North Carolina. 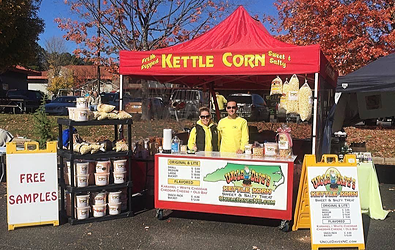 In addition to finding Uncle Dave's NC in Raleigh at the State Farmer's Market and all of the concerts at Walnut Creek Amphitheater, you will find them throughout the state of North Carolina at different festivals and events. Click here to get directions to the main location and for a list of upcoming events!